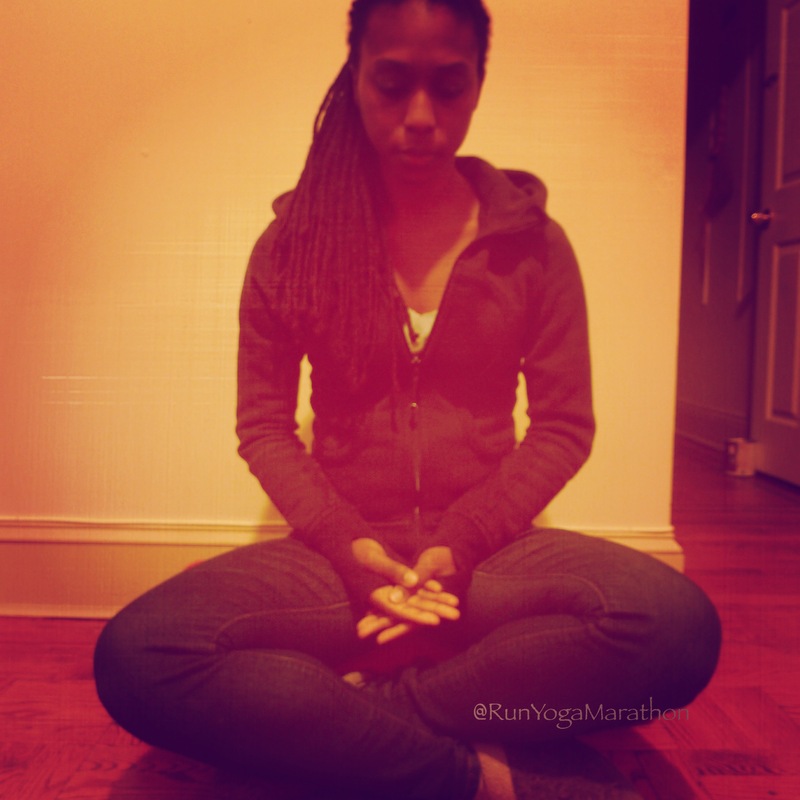 My 21 days of mudras challenge has ended. I’ve learned a lot of new and useful mudras. Also I’ve truly embraced the value and application of daily meditation for the first time. Below is breakdown of all 21 mudras (alphabetical order). 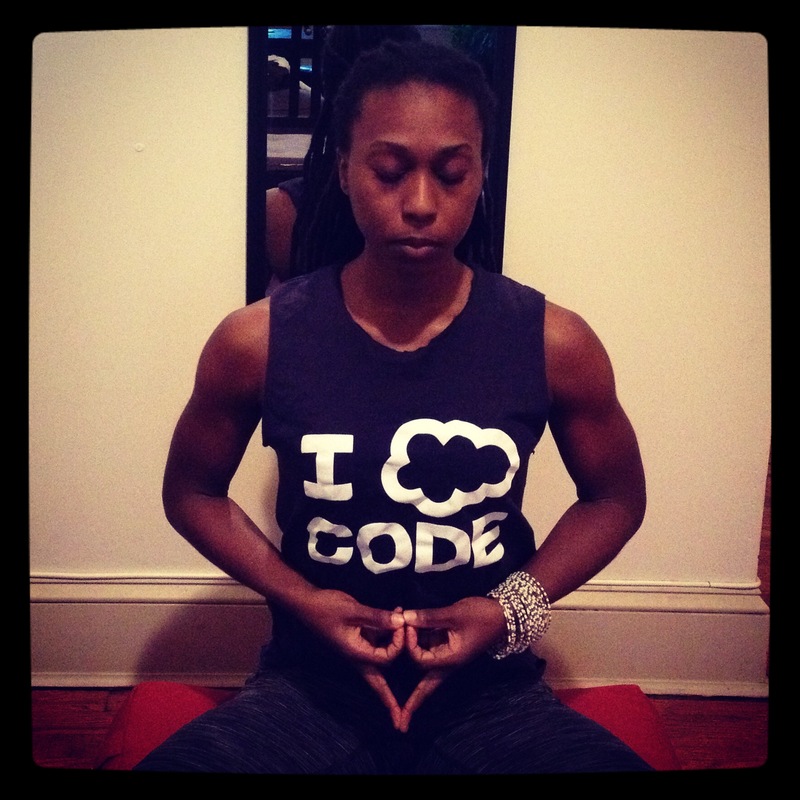 What’s your favorite/”go to” mudra? Mudras are symbolic hand gestures used in meditation, religious ceremonies, dance, sculpture, and paintings. 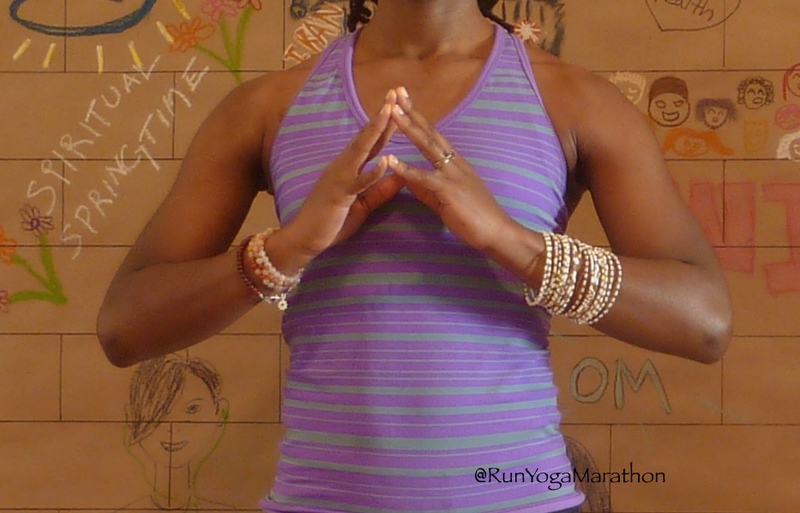 Mudra (MOO-drah) means seal in Sanskrit, sealing in your intention/vow/prayer/mantra. 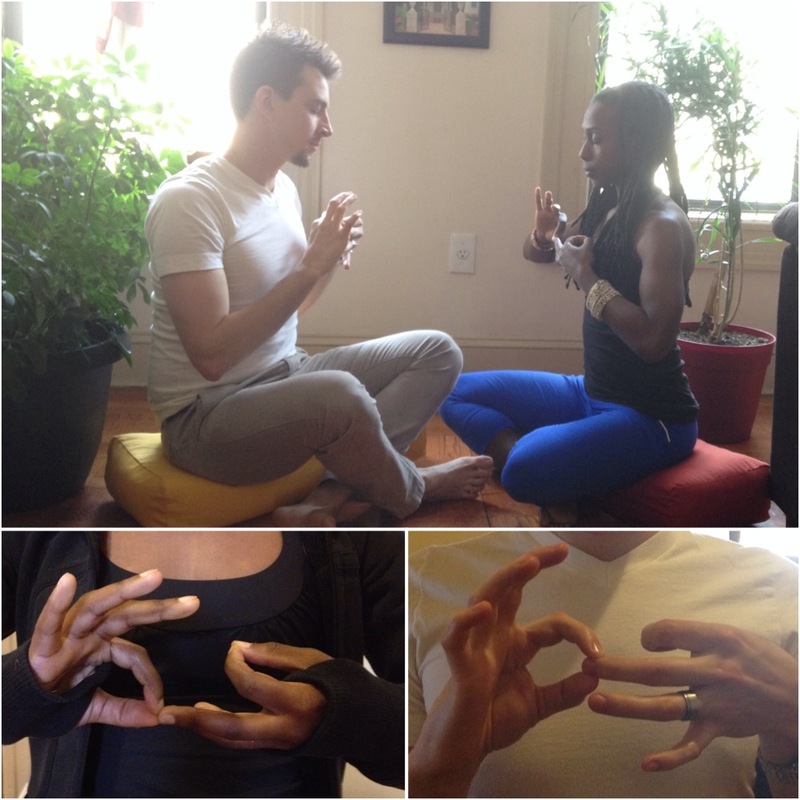 “You can think of mudras as the sign language that springs from an open mind and an awakened heart (Kelly McGonigal)”. 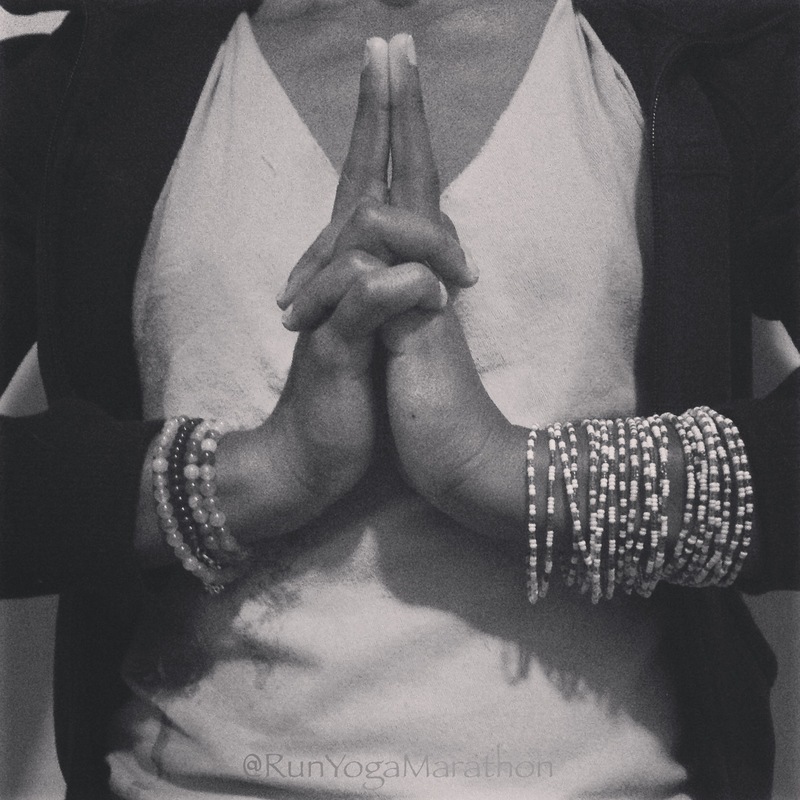 Atmanjali/Anjali Mudra – Atmanjali means reverence to the Self; Also called Anjali mudra (a gesture of reverence, benediction, salutation). This is Self with a capital “S” your true Self, not your ego driven self. Dharmachakra Mudra, a gesture of turning the wheels. The two wheels symbolize balancing dual actions or yin & yang. The L middle finger is Saturn, and represents the transition from this world to the next, life to death. The L hand facing the heart can be seen as your inner world and the R hand facing out can be seen as the surrounding world. Like yin & yang, these two places must be balanced, in harmony. Raise both hands to your chest, L hand facing your heart. R facing out and slightly higher. Link the thumb and index of both hands then bring the middle finger of L hand to touch the thumb and index of the R.
Ganesha Mudra. Ganesha, the deity who overcomes all obstacles. 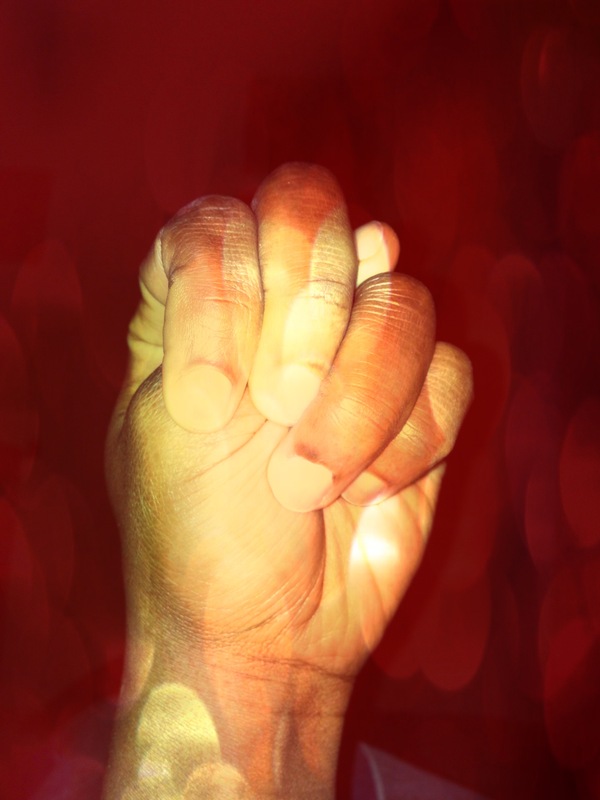 This mudra releases tension. It opens the fourth chakra, gives us courage, confidence, and openness to other human beings. Hold your left hand in front of your chest with the palm facing outward. Bend the fingers, now grasp the left hand with the right hand, which its back facing outward. Move the hands to the level of the heart, right in front of the chest. While exhaling, vigorously pull the hands apart without releasing the grip. While inhaling, let go of all tension. 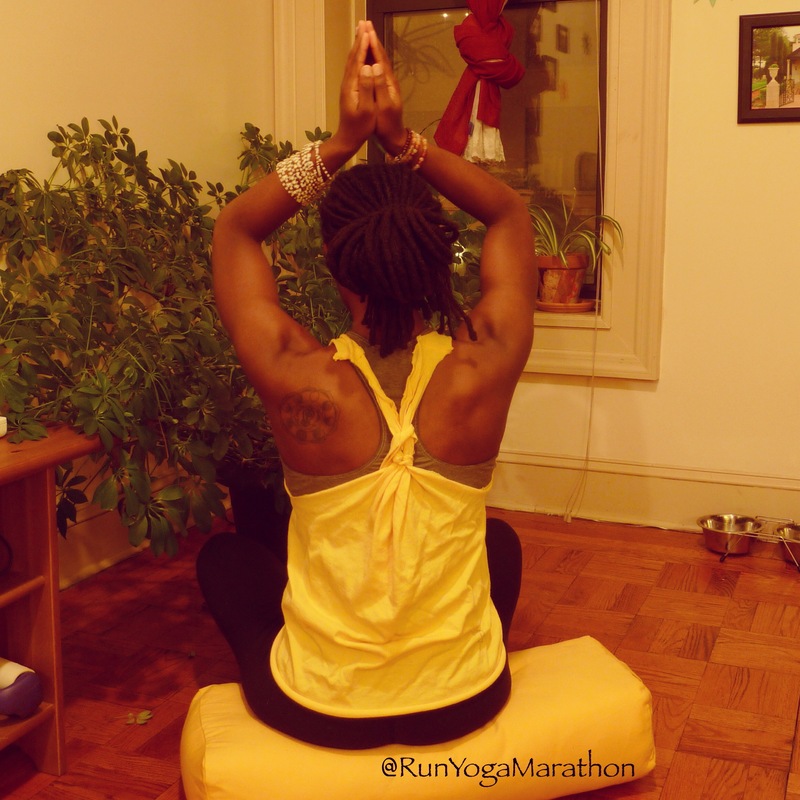 Repeat 6 times and then lovingly place both hands on the sternum in this position. Hakini Mudra – The tips of our left and right fingers meeting in the middle symbolize balancing the left and right hemispheres of the brain. 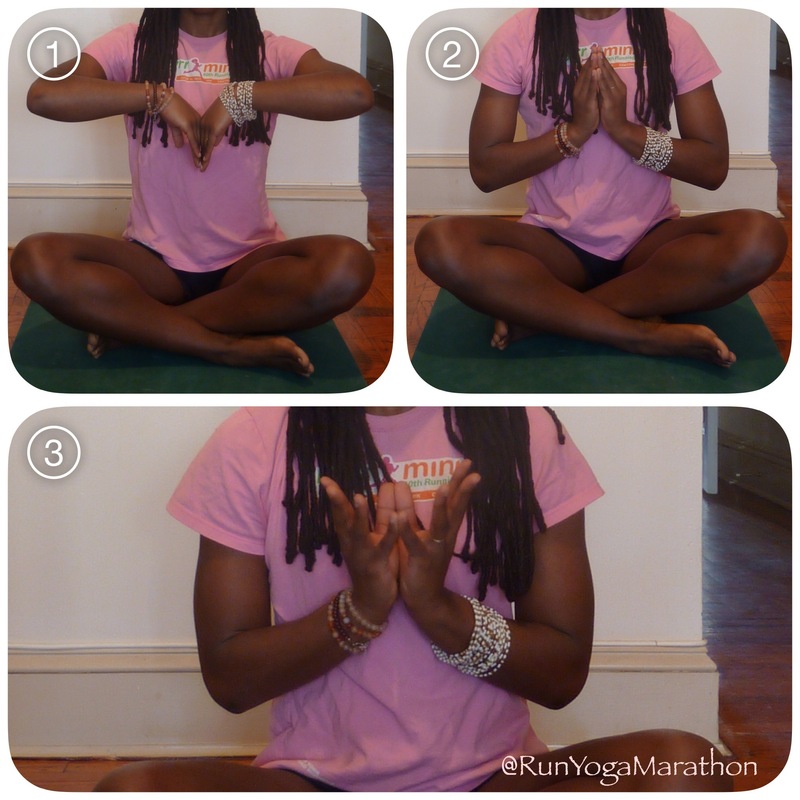 This mudra is helpful for increasing your concentration and improving your memory. It’s associated with the 6th chakra (third eye). Jnana Mudra, the middle finger, ring, and little finger represent the three classic qualities of all of nature (the Three Gunas). The middle finger symbolizes sattva, (purity, wisdom and true understanding) the ring finger rajas, (action, passion and movement) and the little finger tamas, (inertia, lethargy and darkness). Classically the yogi is meant to transcend these states, progressing from darkness into light and from ignorance to wisdom. This mudra gives a feeling of spaciousness and has a subtle uplifting effect on the body and mind. The connection made by the thumb and index figure is said to create a kind of circuit by connecting the terminus of certain nadi thus re-circulating the body’s vital energy. 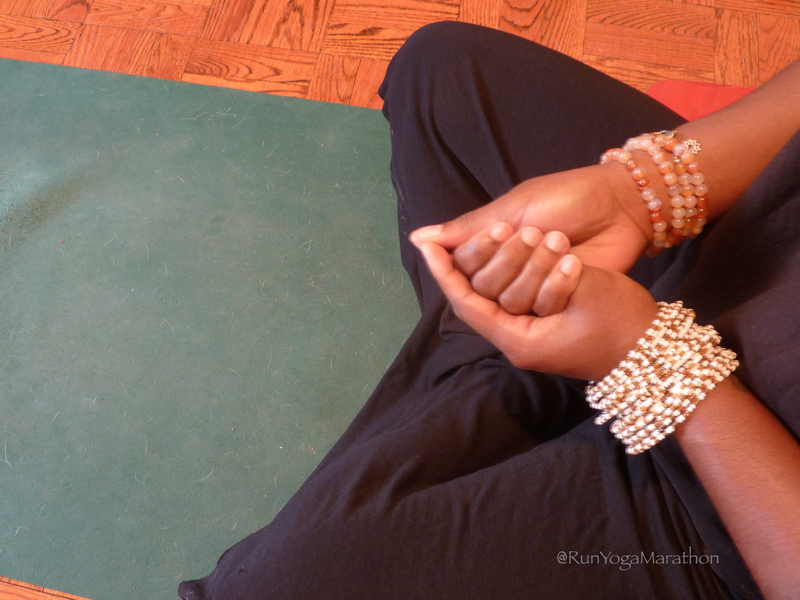 Kalesvara Mudra: calms the flood of thoughts and irritated feelings. Place the finger pads of your middle finger together; touch the first two joints of the index fingers and touch your thumbs. Bend your other fingers inward. Point your thumbs outward toward your chest and spread your elbows to the outside. Inhale and exhale slowly 5 times. This mudra can also be used to help change character traits, support memory and concentration, or eliminate addictive behavior when practiced at least 10 to 20 minutes a day. 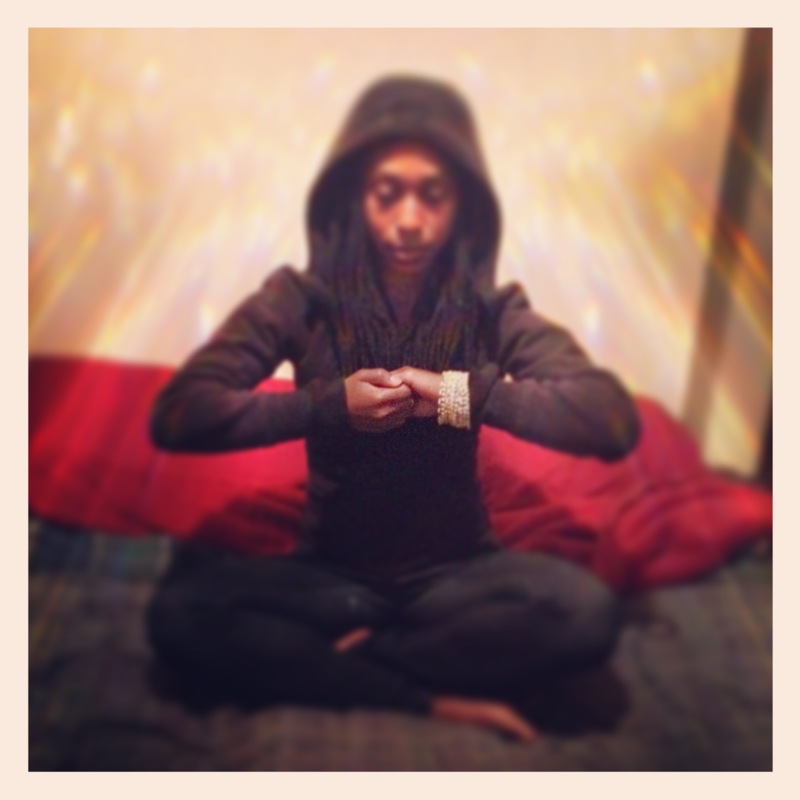 Kashyapa Mudra: balance and protection against negative energies. It symbolizes tortoise, union of masculine and feminine and Sage Kashyapa (Hindu mythology). Like tortoise it creates a seal against negative energies. Use it when you find yourself in conflict situation or when among the group of negative people. 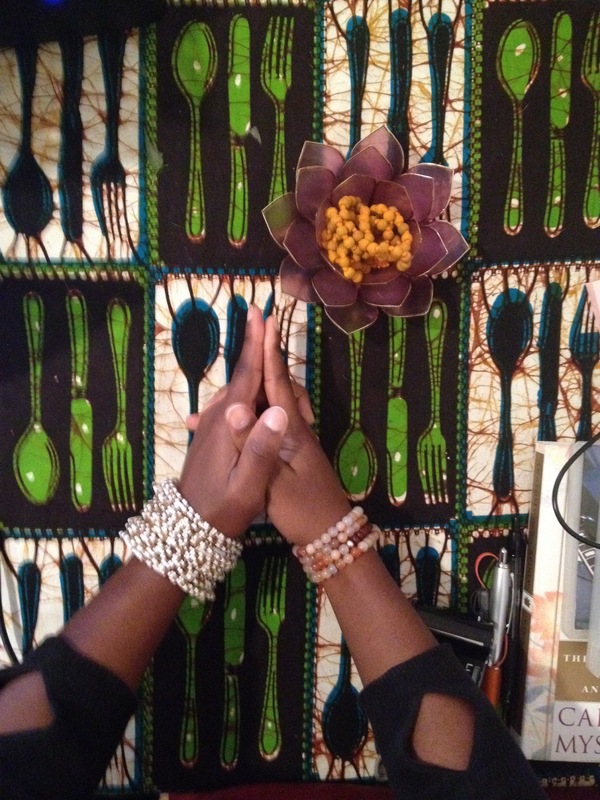 Ksepana Mudra, gesture of pouring out negative energy and absorbing the positive. It should not be held too long because fresh energy is also caused to flow out after several breaths. Lotus Mudra – Like the lotus flower that grows out of mud yet emerges unsullied, beautiful and strong, this mudra symbolizes our ability to overcome life’s challenges and circumstances. 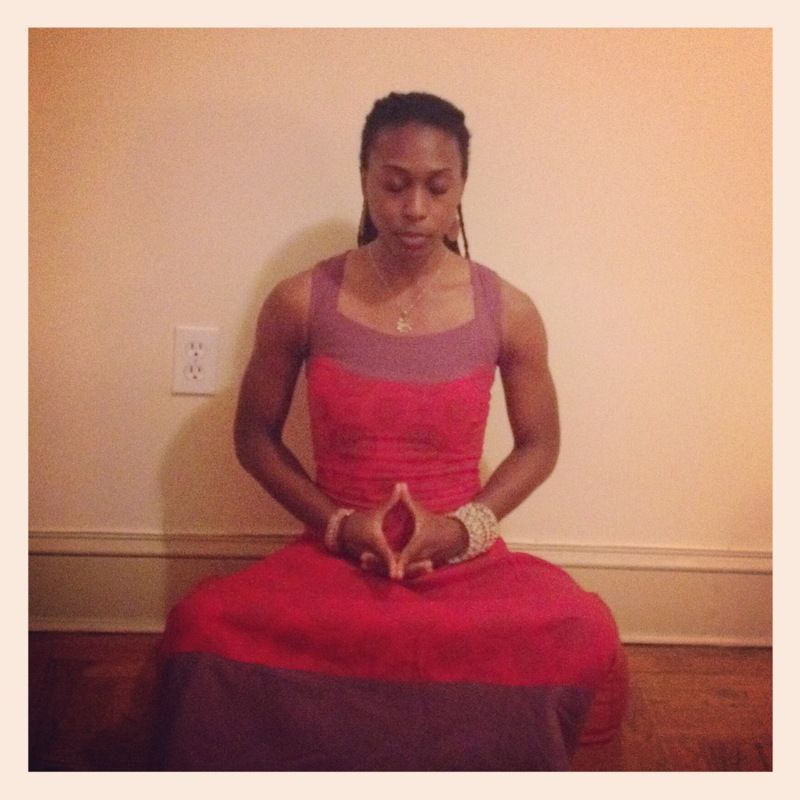 I spent 5 minutes meditating using the mudra to bring my mind back to focus when it wandered. 1) seed sprouting in the mud 2) lotus bud 3) blooming lotus flower. Matangi Mudra: god of inner harmony & royal rulership. This mudra corresponds to the Wood element, which in oriental medicine is also the element of Spring and represents new beginnings & the Earth element. This mudra calms the heart and aids in digestion. It is about finding inner sanctuary. 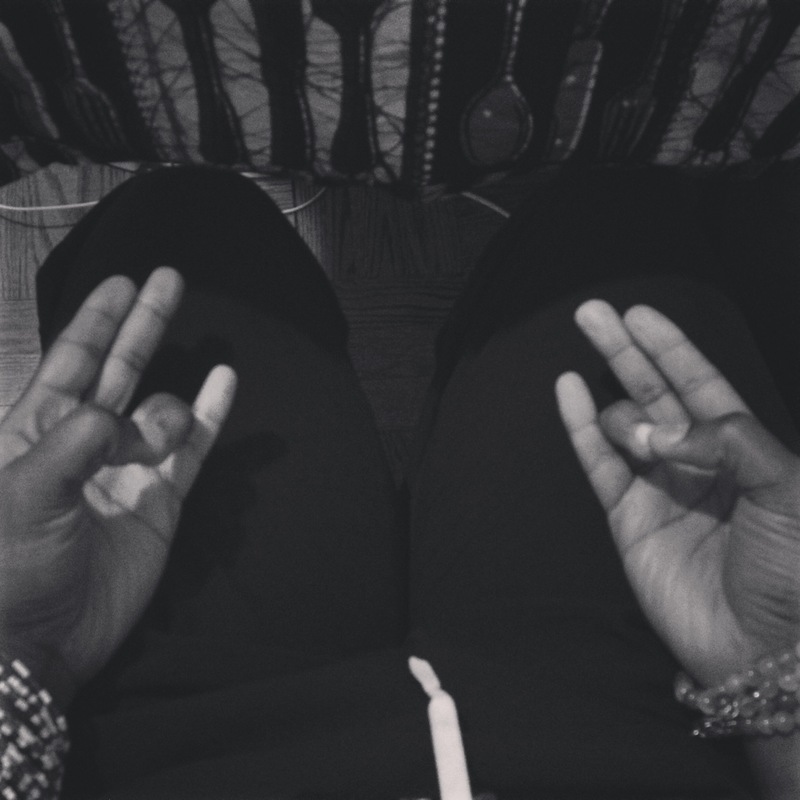 Mudra of Inner Self , the thumbs represent the Inner Self, surrounded by the outer self. 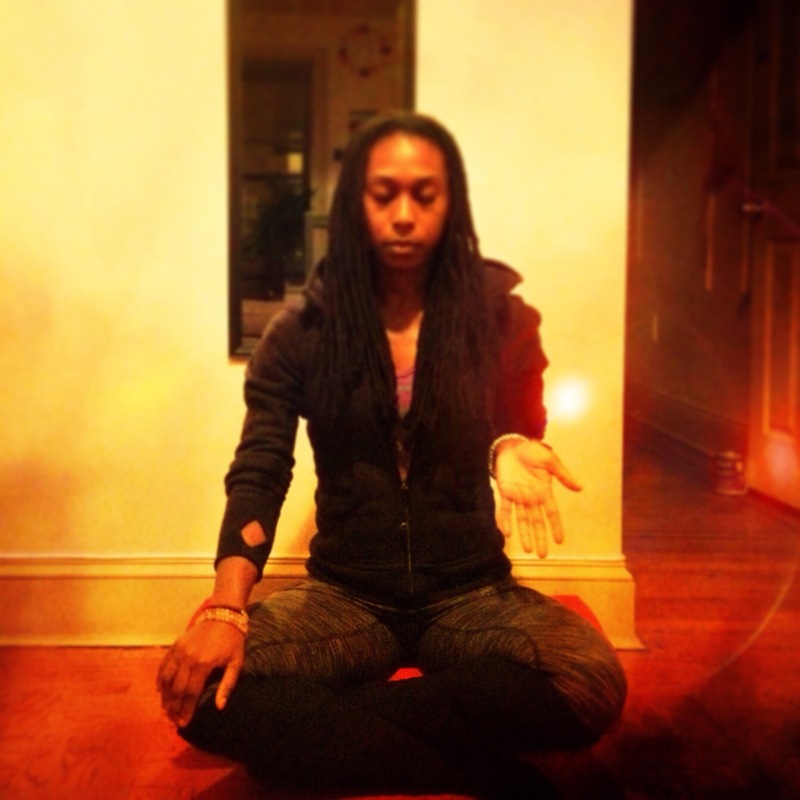 Mukula Mudra, this mudra resembles the bud if a lotus flower. It is used to intensify the healing energy. Place the four fingers on your thumbs and put your fingertips on the the part of your body that needs more energy. Do this with each hand. 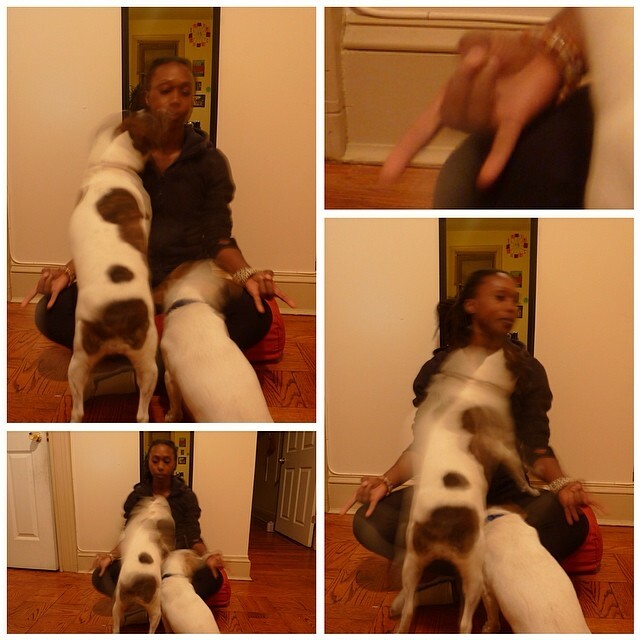 This is like directing a laser ray of energy to a part of the body that needs healing. Naga Mudra. Naga, the snake goddess, symbolizes supernatural strength, wisdom, insight and potency. Also known as the “Mudra of deeper insight”. Prithivi/Earth Mudra. 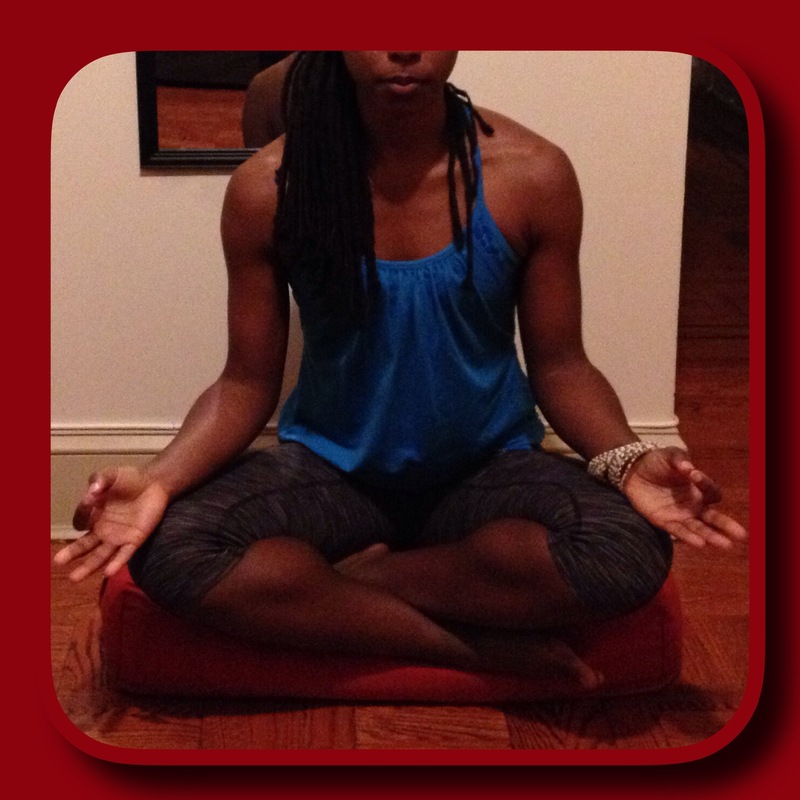 This mudra is used to restore the Muladhara/Root chakra. How strong you feel mentally, physically, and energetically, is a part of how balanced your root is. 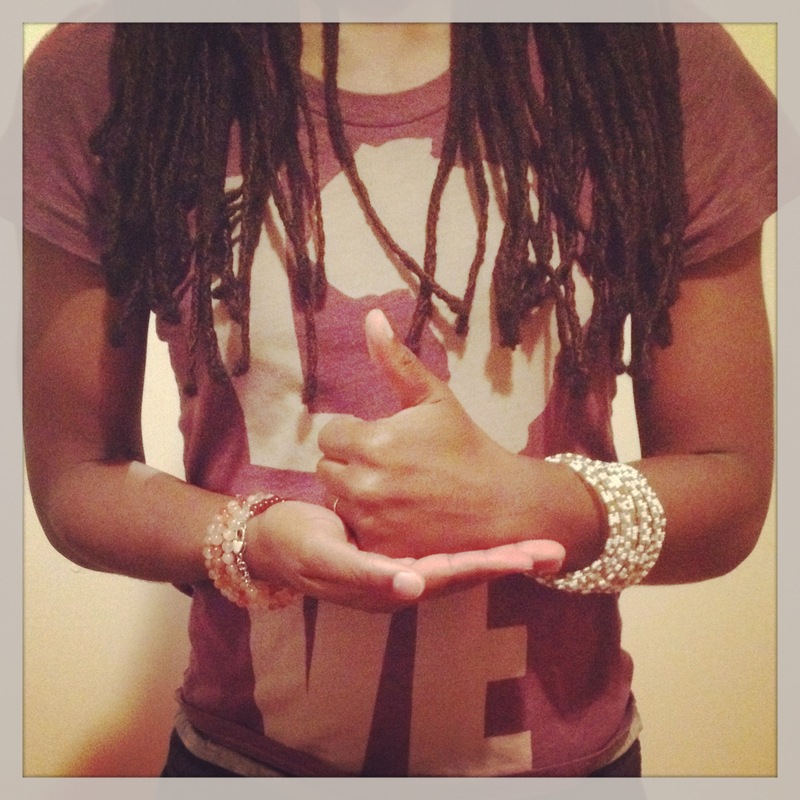 Shankh Mudra, the Shell Mudra. 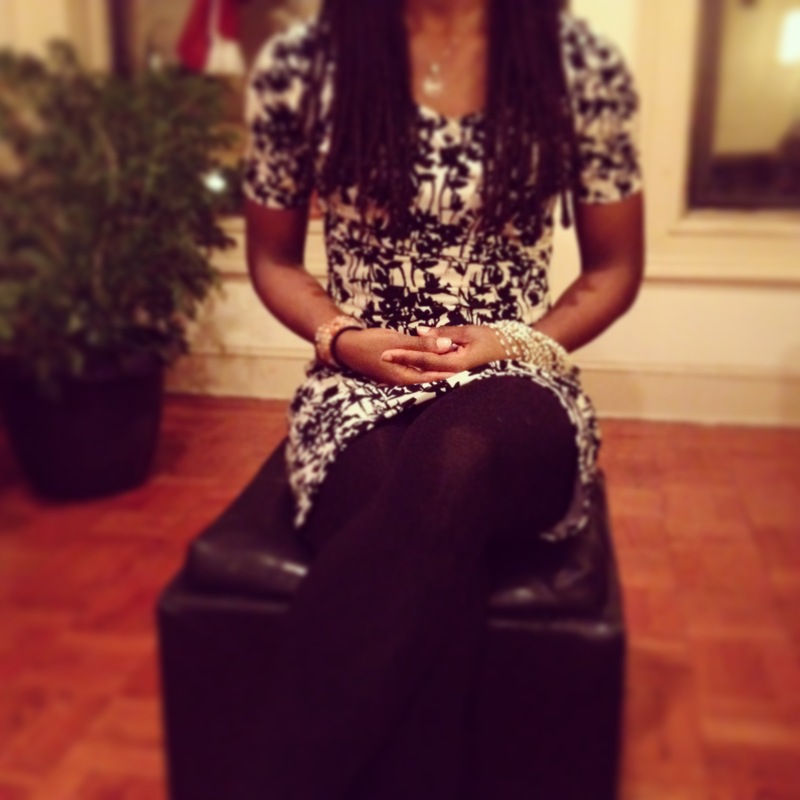 This mudra balances the throat chakra (related to communication/speaking/listening) especially if done with a chant. 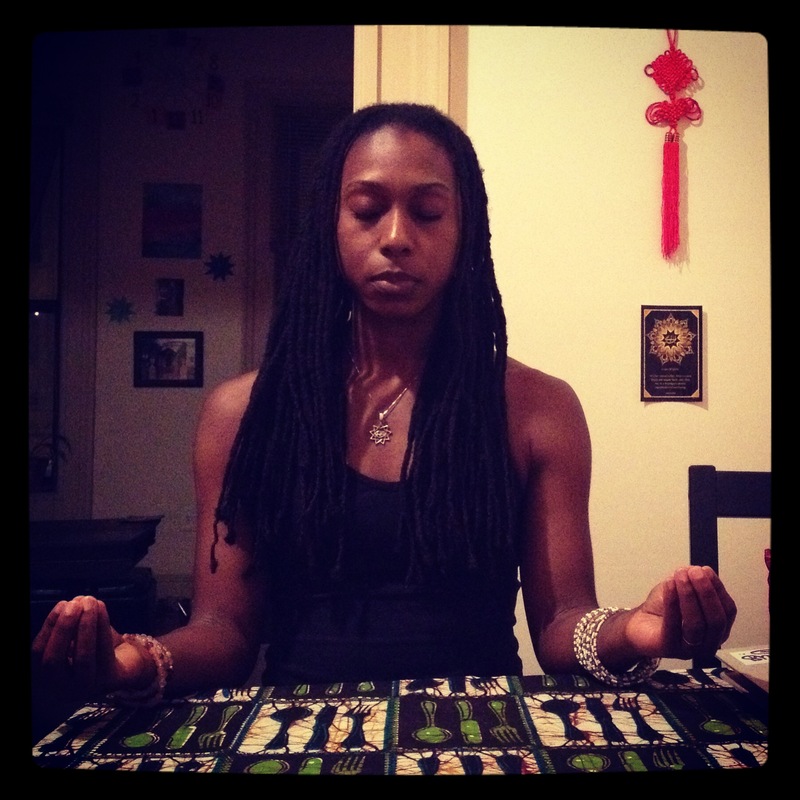 Ushas Mudra, called “Break of Day. 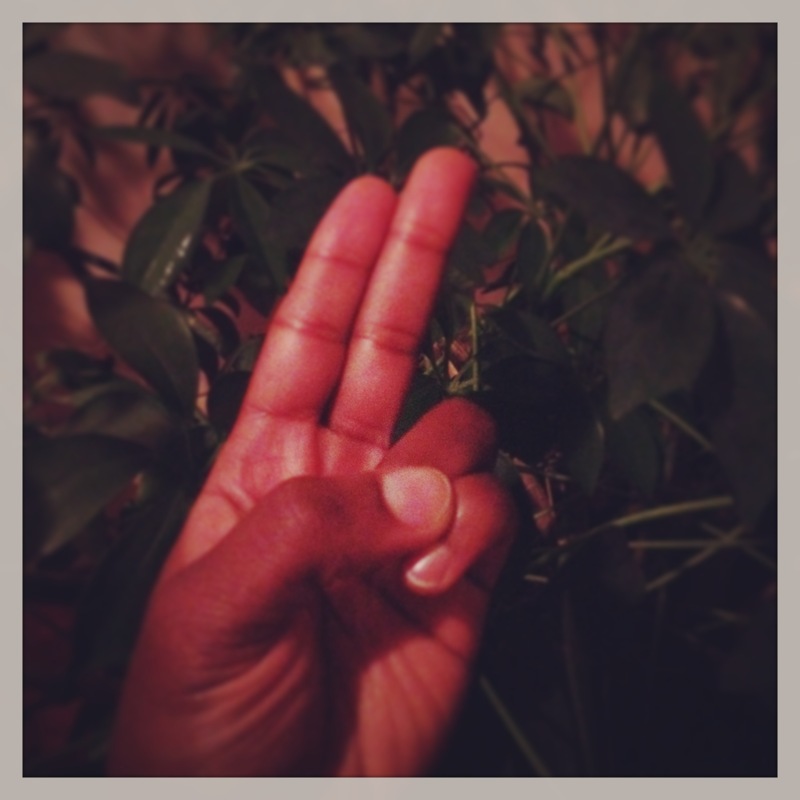 Origin of All Good Things.” This mudra corresponds to the second chakra – Sexuality and creativity. Interlace your fingers. Men, place your L thumb between your index finger and R thumb. Women, place your R thumb between your index finger and L thumb. Uttarabodhi Mudra, a mudra of the highest enlightenment. Place both hands folded in front of your solar plexus, at the level of your stomach. 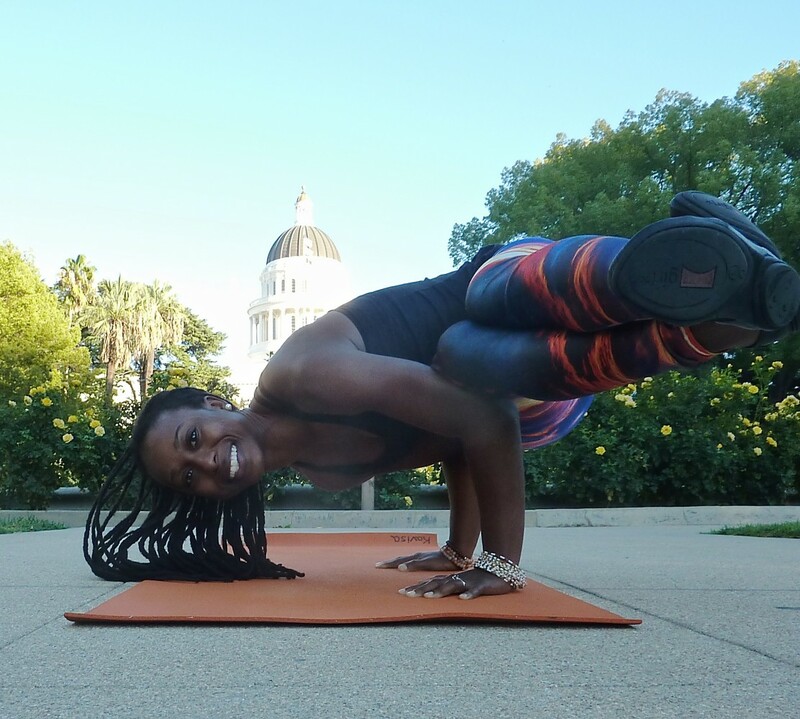 This mudra can be held anywhere, at any time, and for as long as you want. You can use this mudra when you feel physically and mentally listless, when you want to relax, or when you need a rousing idea! The Uttarabodhi mudra can help strengthen the metal element which is associated with the energy of the lungs and large intestines. The metal element has a direct relationship with the nervous system and anything that conducts electrical or energetic impulses, both internal and external. It is the universal life force, also called chi or prana, from the outside to the inside and is also responsible for charging the inner power reservoirs. Namaste, nice info on mudras, where did you source the information on how they work? I am asking since there are different systems of Mudra Vigyan. Thanks. 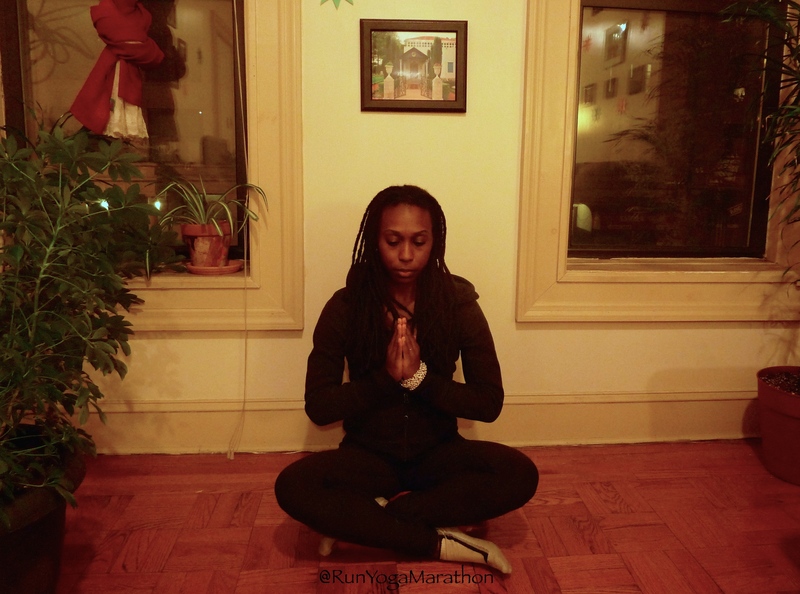 Some of the mudras I learned from a 21-day instagram challenge. Others I read about in the book ‘Mudras: Yoga in your hands” by Gertrud Hirschi. Thanks for the feedback and info. Just found out about Mudras today and was very excited to read your article! Thanks for sharing!